I'm curious if the Dictator previously mentioned is related to my grandfathers boat of the same era "Dictator", his name is Walt Pride. Unfortunately I don't have a whole lot of info about it, but my dad remembers it being a "28ft donzi magnum" (my grandfather had many offshore boats through the years from the stories I have been told). It looks a lot like a Maltese or Sport to me. I have one picture of this boat. Bob Sheer may know more about it. Cadillac has one in his boat yard. It may be this one. It is in fact a Walt Walters designed 28' Donzi with a lower profile race deck. A hand full of them were made this way. I'll get the picture posted in the next couple of days. Thanks Jeff, that really helped me in my research. I came across a boat that may be the one you are referring to, does Cadillac live in the Stuart, FL area? I called the brokerage that currently has it listed, and they are going to get in touch with the current owner to see if he would be interested in talking to my father and I. 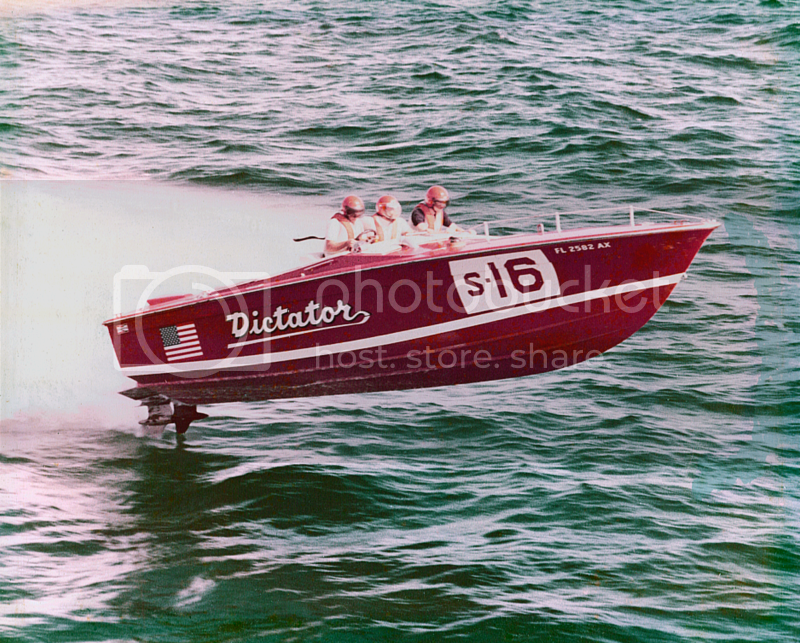 They believe this boat was previously raced by Johnny Bakos, and I found a really interesting thread that has a picture of the Bakos Donzi Magnum. It looks VERY similar to my grandfathers and this boat. In doing a little bit more searching I came across another photo that looks promising. I contacted ynot yachts and they told me that they would get in touch with the owner (they confirmed that it is Cadillac) to see if he would be interested in talking or showing my father and I the boat. I also called Hacker boats and they said they would send my contact info over to Bob Sheer. Last edited by pridekit; 05-31-2016 at 11:10 AM. Here's Brownie talking about Sterndriver being the first staggered engine. He mentions that the boat was in Miami for a number of years. That would have to be close to 30 years though. Last edited by pridekit; 05-31-2016 at 11:43 AM. I went and looked at Cadillac's boat with my dad. My dad is 98% sure it's my grandfathers old boat I'll post some pictures later! If not the original patched up 008 - sure looks like the next one out of the molds.